SYTERA, LLC is a Veteran-owned Small Business (VOSB) based in Fairfax, Virginia. SYTERA was established in January 2009 by a group of founders who have extensive experience in intelligence, information operations, information assurance, logistics, program support, and acquisition missions, as well as in corporate business operations, sales, and business development. The experience and expertise of the company founders define our initial areas of customer support - we provide subject matter expert personnel, training, and support services and solutions tailored to the specific needs of each client. Our Team is guided by a set of Core Values established from 60 combined years of experience in highly successful Federally-oriented small businesses where employees and customers alike demonstrated great loyalty to the company. Our Core Values are depicted below. Profiles of key executives are provided below. William A. (Bill) Doyle, Chief Executive Officer - Bill is an experienced intelligence professional and corporate leader with operations and programmatic experience in intelligence, electronic warfare, and information operations. His 10 year career with SYTEX culminated as Senior Vice President. After SYTEX' acquisition by Lockheed Martin he served as Director of their Information Dominance & Security Group. During his 12 year span with both companies, he was responsible for a diverse spectrum of DoD customers and major contracts, including several Intelligence Community organizations. Support to these customers includes strategic planning and policy formulation; operational support, to include war zone contractor support; across a wide sprectrum of intelligence disciplines. With his knowledge and demonstrated success in business operations and in formulating and executing fiscal and functional intelligence programs, Bill is supremely qualified to lead SYTERA into the future. He is a Gulf War veteran. David L. (Dave) Croy, Director, Intelligence Programs – Dave brings over a decade of program management experience and delivering professional services to defense intelligence contracts as a Senior PM and Director with Lockheed Martin Corporation and SYTEX, respectively. His experience in business development and operations are complemented by his 21 years of military service. 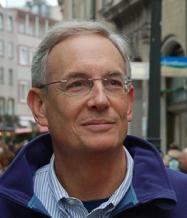 Specializing in counterintelligence activities, Dave has made significant contributions to human intelligence, document and media exploitation, as well as defining and integrating future concepts and force modernization initiatives with cutting-edge technologies supporting joint advanced concept technology evaluation and integration efforts. Dave is a recipient of the U.S. Army Military Intelligence Corps’ Knowlton Award. Glenn A. Porter, Principal - Glenn is an experienced professional in business strategy, development, operations, and acquisition. 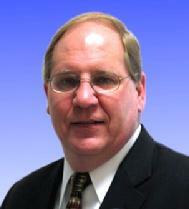 He was Sr Vice President for Systems Engineering during SYTEX's phenomenal $40M-$400M growth from ‘95-‘05. He continued to lead that Group after the sale to Lockheed Martin. He was responsible for a diverse spectrum of DoD and Federal customers and major contracts, including several Homeland Security organizations. Support to these customers includes both professional services (acquisition program support; systems engineering; security planning and logistics) and integrated solutions (emergency response applications; biometric/tagging technology solutions; web-based applications and requirements analysis for enterprise IT systems). Mr. Porter is a trained Green Belt in Lean/6 Sigma techniques. Prior to SYTEX, Glenn completed a 21 year U.S. Army career, with leadership and technical roles in the areas of command and control; intelligence analysis; information technology; and acquisition management. He is a Vietnam veteran.